Maureen Beattie to star in first play by Rebus author as part of Lyceum Theatre's new year programme. 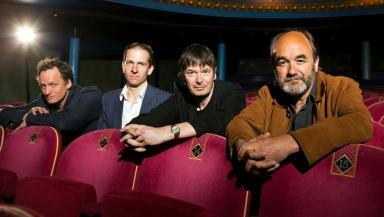 Rebus author Ian Rankin is to stage his first play as part of the Lyceum theatre's new season for 2013. The legendary Scots crime writer will debut Dark Road at the Edinburgh venue, one of seven plays featuring in this year's programme. The production, which has been created in collaboration with the Lyceum's artistic director Mark Thompson, features the talents of another well known Scottish face, actress Maureen Beattie, who will take on the role of the drama's lead character, Lothian and Borders chief constable Isobel McArthur. Rankin, who has written for radio before but never for theatre, attended the programme launch on Tuesday morning. Speaking at the event, the Edinburgh born writer, said: “I’ve done a couple of radio plays but I’ve never written for the theatre. “I wasn’t sure how crime fiction would work on stage, but it’s a study of characters and the tension between the two central characters. The actors can lift the characters and story with them. “It’s also about a family in crisis and the tensions between the family and the family isn’t just the main family it’s also about the police as a family unit. “Mark has done most of the work. I made the storyline and the central characters and he structured it to work on the stage so it was great to have him there to show me how it can grow from the page to the stage. The curtain will rise on Dark Road on Wednesday, September 25, running until Saturday, October 19. The new diet for the Lyceum spans four centuries of writing. A new version of Fyodor Dostoyevsky’s play, Crime and Punishment, will take to the stage on Tuesday, October 22 and runs until Saturday, November 9. The adaptation of the classic study of guilt and power is being delivered under the stewardship of Chris Hannan, who won a 2011 Critics' Award for Theatre in Scotland for The Three Musketeers and the Princess of Spain. Christmas is being turned over to a serving of Charles Dickens' A Christmas Carol. Artistic director Mark Thompson expressed his delight at the Lyceum's decision to stage the story of Scrooge. The version is a stage adaptation by Neil Duffield which was first performed in Bolton in 2007. The performance will be directed by Andrew Panton, who is currently the vocal director for Britain's Got Talent star Susan Boyle. The production will run from Tuesday, November 26 to Saturday, January 4. 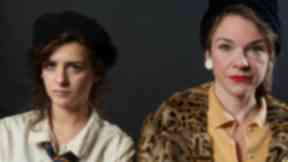 Mark Thompson said: “It is one of the most extraordinary evening events of drama. The show will run from Friday, January 17 to Saturday, February 8. Noel Coward's legendary comedy Private Lives has been chosen for February. Deliberately chosen for the month of love, Coward's play follows the story of two divorcees who bump into one another on their second honeymoon, only to ditch their new partners and run away to Paris together. Mark said: “It’s a sublime sample of wordsmith, wit and ingenuity. Directed by Martin Duncan, the show will run from Friday, February 14 to Saturday, March 8. Union, by Tim Barrow, will make its world premiere on Wednesday, March 19. Running until April 12, Barrow's script is based on the events surrounding the Act of Union in 1707 from Edinburgh's Old Town taverns to the Court of Queen Anne in England. Mark Thompson will direct the performance. Tim, who attended the launch, said: “I was reading about the Union and didn’t know anything about it. “Politics has been very interesting in the last year and I realised that my knowledge was lacking of crucial history so I started researching and as soon as I did, it is stuffed with drama and has a cast list to die for from poets and spies to Monarchs. Another exclusive will bring the curtain down on this season's programme. Actor David Haig’s Pressure, which was meant to debut in May this year but was delayed due to casting issues, will run from Wednesday, April 30 until Saturday, May 24. Speaking of the season ahead, Mark said: “We feel this year there is a blend of colour in the programme that we want to celebrate. You can find out more information about the new theatre season via the Lyceum's website.